Spring time is the season when I usually get reacquainted with all my old flowering friends, go on wildflower walks, and spend lots of time doing what I love best; looking for plants! Who would have thought that late summer and fall could be just as amazing and floriferous as the spring season? There are currently billowing fields of flowers in California’s desert that resulted from several significant storms this past summer in August and September. This year I have been able to take several field trips to view the spectacle of desert flowers at a site called the Bighorn Mountain Wilderness. The Bighorn Mountain Wilderness is the subject of an ongoing RSABG research project to inventory and create a checklist of all the plants that occur in the area with special attention to documenting rare and invasive plants. The Wilderness is 38,502 acres and set back against the north side the San Bernardino Mountains in San Bernardino County, California. 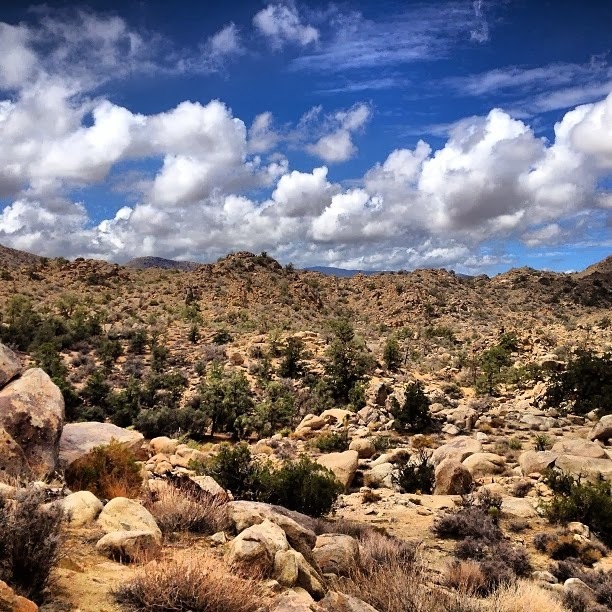 Our partners on this project are the Bureau of Land Management and the San Bernardino National Forest who both manage portions of the wilderness. Last week on 26 September 2013, 12 staff and students from RSABG set out to document the spectacular fall bloom.The area is difficult to access without a four-wheel drive vehicle; therefore few botanists have documented plants in the Wilderness prior to our study. After traveling one hour via dirt road and one flat tire, we got to our survey sites and found an abundance of summer annuals. We also found perennials that normally bloom in the spring, but have perked up in response to the summer rain. The summer annuals that predominate and form carpets in the Bighorn Mountain Wilderness are: fringed amaranth (Amaranthus fimbriatus), needle grama (Bouteloua aristidoides), six weeks grama (Bouteloua barbata), Sonoran sandmat (Euphorbia micromeria), Yuma sandmat (Euphorbia setiloba), and chinchweed (Pectis papposa). Other less common annuals include windmills (Allionia incarnata) and spinderling (Boerhavia triquetra var. intermedia). Shrubs in the sunflower family such as wedgelead goldenbush (Ericamerica cuneata), rubber rabbitbrush (Ericameria nauseosa), round-leaf rabbitbrush (Ericameria teritifolia), and scale broom (Lepidospartum squamatum) are approaching full flower and create a haze of yellow across the landscape. If you have a chance to get out and see this spectacular bloom I would hightly recommend it. Swaths of blooming plants can be seen just outside of the Bighorn Mountain Wilderness, north of Yucca Valley near the town of Landers. 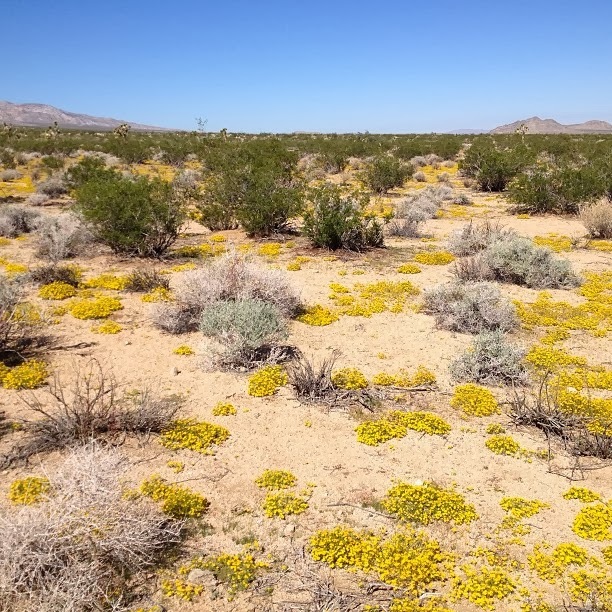 There in Johnson Valley you will find fields of chinchweed and spiny senna (Senna armata). There are also several other locations to see the unusual green cast in desert. If you head out along I-10 towards Desert Center you will find octotillo (Fouquieria splendens), pallo verde (Parkinsonia florida), and ironwood (Olneya tesota) lush and green with some plants in flower and fields of gramma grass (Bouteloua sp.). Stay tuned to our website for updates on our progress and findings in the Bighorn Mountain Wilderness and visit our photo album to see more. The area is an interesting transition zone between the Mojave and Sonoran deserts and the interior mountains of southern California. Over the course of our study we are sure to have many interesting discoveries that will enhance our knowledge of California’s diverse flora. Last year I had the privilege of naming and describing five new species of monkeyflowers in the Garden’s scientific journal Aliso (30: 49-68, 2012). Four of these monkeyflowers have now been added to the California Native Plant Society’s (CNPS) Inventory of Rare and Endangered Plants and one will soon be reviewed for its possible inclusion in the Inventory. Plants in the CNPS Inventory are assigned ranks in an effort to categorize their degree of rarity and concern of threat or endangerment. 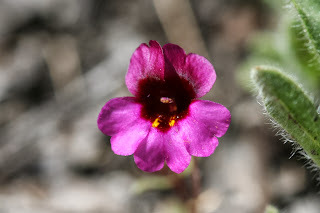 For example, a CNPS Rare Plant Rank of 2B.3 means that the plant is rare in California, but more common elsewhere (2B), and is not very threatened in California (0.3). The four monkeyflowers that have been added to the CNPS Inventory were assigned a rare plant rank of 1B which means they are not only rare in California but throughout their range. In addition three of the monkeyflowers have a threat rank 0.1 which means they are seriously threatened and one has a threat rank of 0.3 which means it is not very threatened in California. In doing field work for my research I wanted to asses the conservation status of these monkeyflowers because many of them are known to be naturally rare and are therefore of conservation concern. In my field work I surveyed and searched for new populations and provided more detailed information on their geographic range. To learn more about the conservation status of these elusive little plants I recorded information on the quality of their habitat (e.g. abundant non-native plant species would indicate poor habitat quality), signs of disturbance (e.g. trash, road cuts, vehicle trespass, trampling by humans or grazing animals), current use of the area, and current status of the population. This is important because if a species is known to be restricted to a small geographic area then chances are that some degree of disturbance (e.g. development, cattle grazing, and impacts from recreation) could have a significant impact on the long term viability of the species. The information I recorded was published and used in their assessment for ranking in the CNPS Inventory. The CNPS Inventory serves as a State-wide source of information on California’s rare and endangered plants and is an important resource for scientific research, conservation planning, and effective enforcement of environmental laws that deal with plant conservation. It is essential to much of the work I do in evaluating the status of rare plants in California and identifying geographical areas and species to survey. 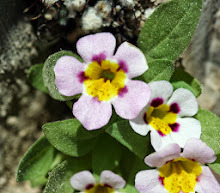 This past year (2012) Garden Scientists described seven new plant species native to California and all seven of these have been added or are being considered for addition to the CNPS Inventory. This brings to light a couple of very important things: one is that we still have much to learn about the flora of California. Since the second edition of The Jepson Manual: Vascular Plants of California was published in 2012 at least 14 new taxa native to California have been newly described! Even though my research has focused on describing and exploring plant diversity in California, the rate at which we continue to learn about and add new species to our native flora still astounds me. Second is that many of these newly described species in California have been found to be rare, and endangered throughout their range. This shows us that it is critical to gather as much information as possible prior to developing land or changing land use. Balancing our use of the land with protection of natural resources is a difficult task, but in order to do this effectively we need information on what occurs there and its significance. The work we do here at the Garden in conservation and research aims to provide this information in the interest of education on the value and significance of California’s native flora. Phacelia stellaris is is a tiny annual herb in the borage or forget-me-not family (Boraginaceae). Its common name is star phacelia which is derived from its latin epithet stellaris, meaning star. I find that name particularly fitting since the plant looks like a little star in the sand when it flowers. This is the first year I have had the privilege to see this species in the field. For someone who loves belly plants (like me! ), this plant is a show stopper! Phacelia stellaris has pale lavender to purple flowers, and a bluish green cast to the leaves. It gracefully hides itself in the sand and because of this it takes several very skilled botanists with eagle eyes to find them! Its no wonder that there are few recent observations of this species across its range in California. 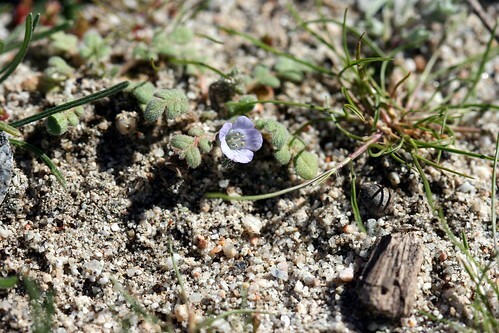 Phacelia stellaris is considered rare by the California Native Plant Society and is a candidate for listing under the Endangered Species Act by the US Fish and Wildlife Service. This species is of concern because it is known from just a few location in southern California, US, and in Baja California, MX. Many of the occurrence are considered historic; that is they haven't been seen in over 30 years. In fact many haven't been seen in over 80's years, since the 1920's and 1930's. One population that was recorded to be in the bed of the San Diego River is presumed to have gone extinct because it hasn't been seen since 1882! 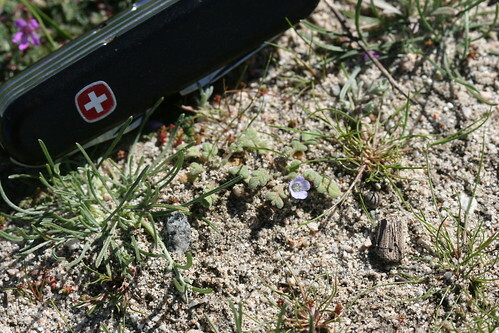 Phacelia stellaris in the sand. Our goal is to retrace the steps of the botanists who have come before us and find Phacelia stellaris at locations where it was historically known in the US. We've started with the easy ones that have been documented since the year 2000. So far we have seen it at four locations which has given us a better understanding of its habitat requirements. I truly hope we can find several if not all of the long lost populations of Phacelia stellaris, and perhaps even document a few that we didn't know about before.